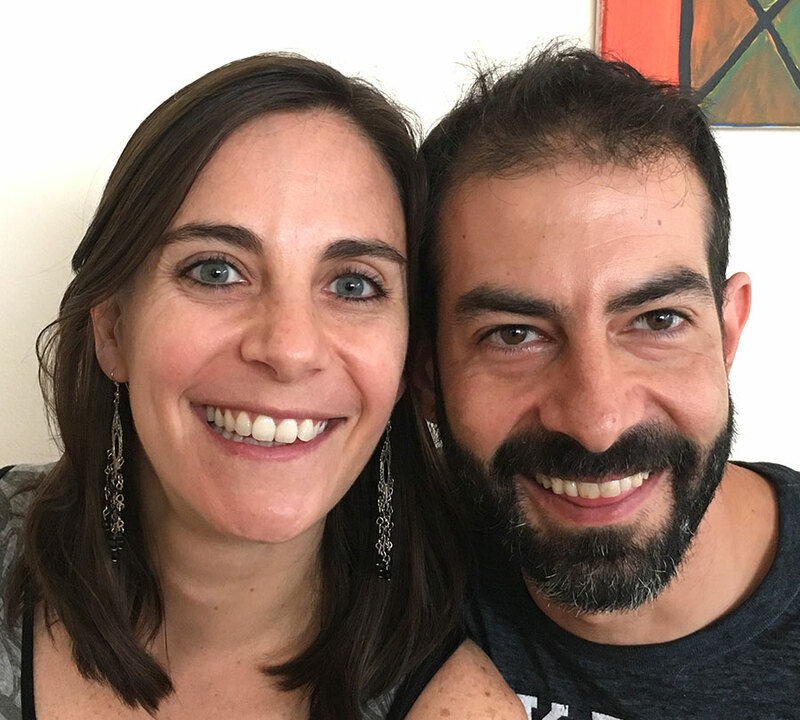 Rafa and Hannah are a young, enthusiastic, dynamic couple, who love cooking and want to preserve their family recipes. 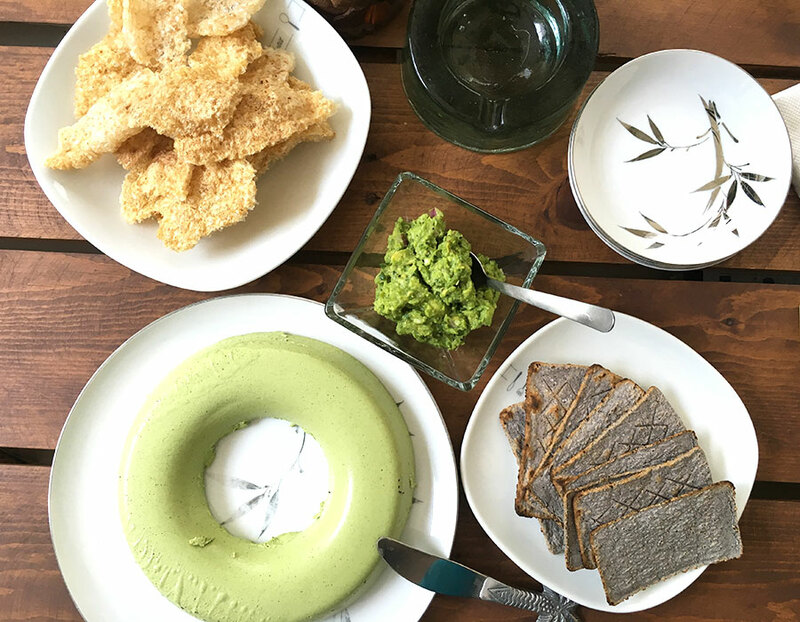 Their love of food and cooking is not only contagious, but deeply rooted in their family traditions, a story that Rafa is more than happy to share! Rafa is a marketing consultant and Hannah has a digital design agency. Other than their love for food, music and sports they are multi-lingual and speak three languages – English, Spanish and Italian. Rafa learned most of his cooking from his grandmothers, who were amazing cooks! As a kid he enjoyed spending time and helping his grandmother in her kitchen, surrounded by beautiful smells, colors and flavors. He has inherited traditional cooking techniques and family recipes that he takes pride in sharing with friends and family. Rafa believes less is more and always uses fresh local ingredients of the best quality to prepare simple yet flavorful meals. 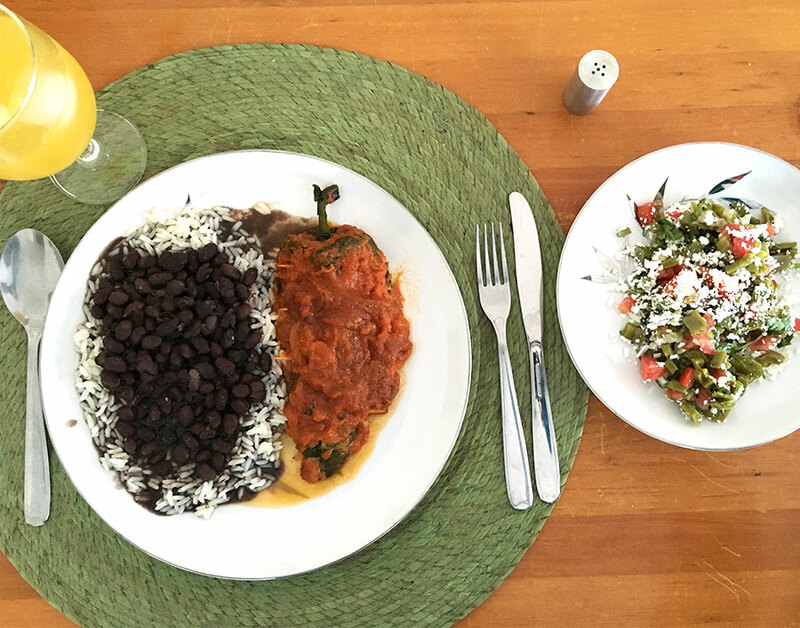 They love sharing stories of the food they grew up eating and enjoy a good home-cooked meal that is authentic, healthy and packed with flavor. In-home meal: (1-6 guests) Rafa and Hannah live in a simple, modest apartment in the heart of the city, (just in front of the beautiful church where Romeo + Juliet was filmed!). While you sip on your welcome drink, Rafa will be more than happy to share his food stories and how he learnt how to cook. 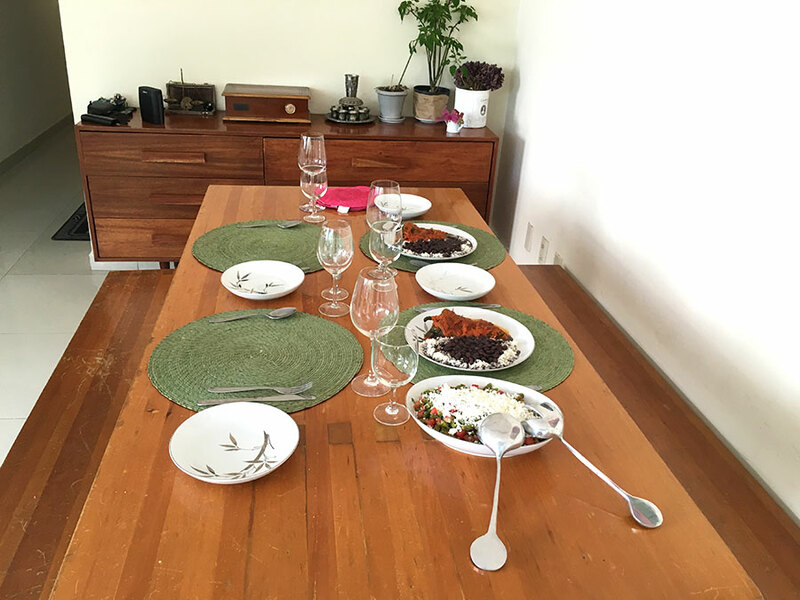 Later you will join Rafa and Hannah at the dining table to enjoy an authentic home-cooked Mexican meal, something you would find in Rafa’s grandmothers kitchen. The menu might include dishes such as huachinango a la talla (grilled red snapper with spicy chiles), salpicon (a green salad with shredded beef, lemon sauce, sea salt and a touch of chile habanero, for the brave), Mexican tacos made with avocado, green lemon, and green tomato sauce, or chile rellenos (stuffed poblano peppers with a beautiful homemade tomato and chile salsa). End your meal with a dessert of either pan elote (corn cake) drizzled with caramel or cocadas (traditional coconut candy). Cooking experience: (1-4 guests) Enter Rafa and Hannah's home and learn to make 2-3 dishes with Rafa that you will enjoy together later. 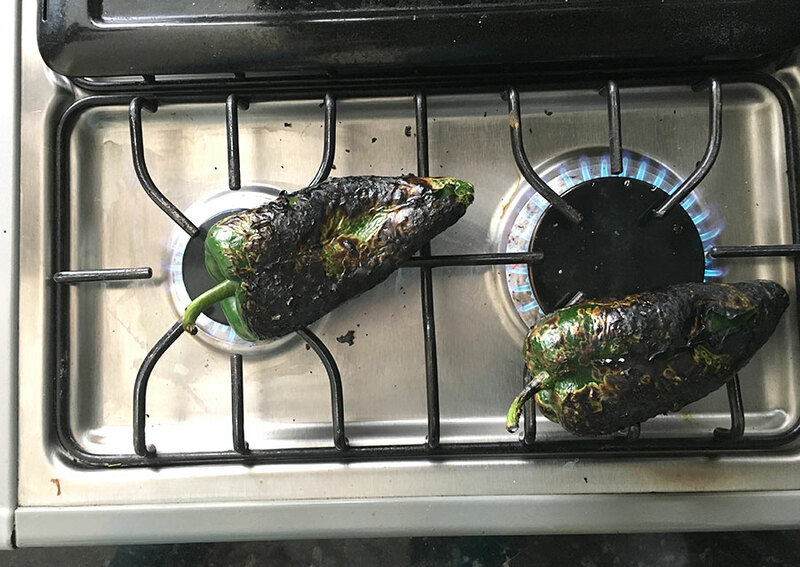 You might learn to make home-style dishes like chile rellenos (stuffed poblano peppers), huachinango a la talla (grilled red snapper), or pan elote (corn cake). 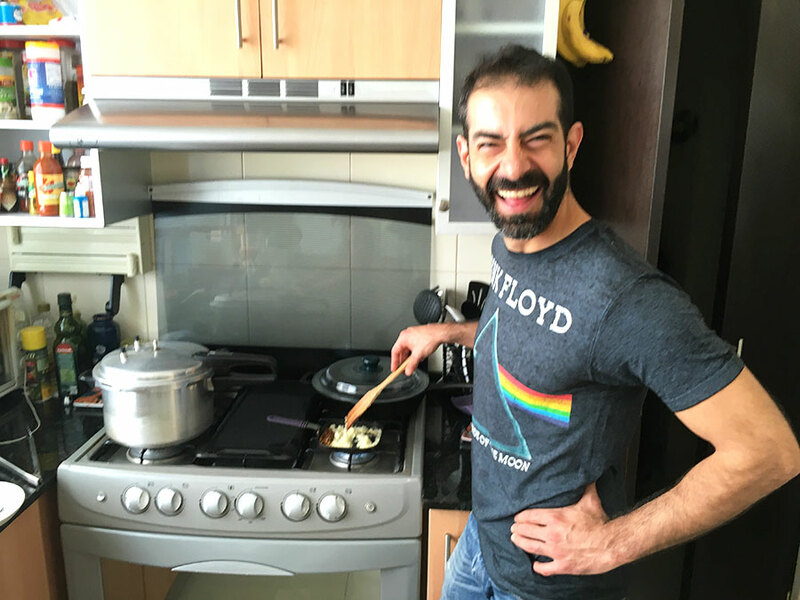 If you have any particular dishes you would like to learn you can note your preferences during the booking process or let Rafa know in advance through our host commenting feature (available after you book) and Rafa will be happy to teach you. 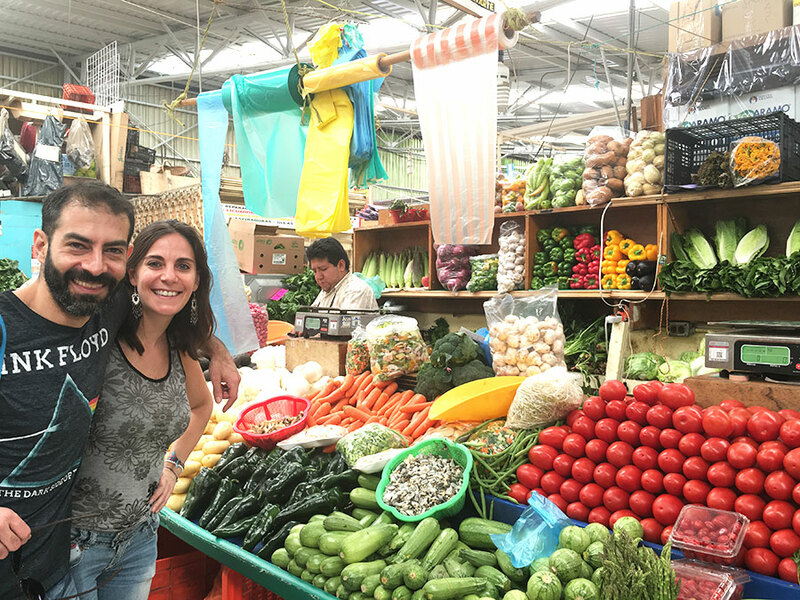 Market visit: (1-4 guests) Rafa and Hannah will walk you to a small, local market just two blocks away from their home - it is the same market where Rafa’s grandmother used to go every day for fresh ingredients! Rafa and Hannah live in the same neighborhood Rafa grew up in, so he is well known to the local market stall owners, including the neighborhood ice cream store that has served the community for over 50 years. 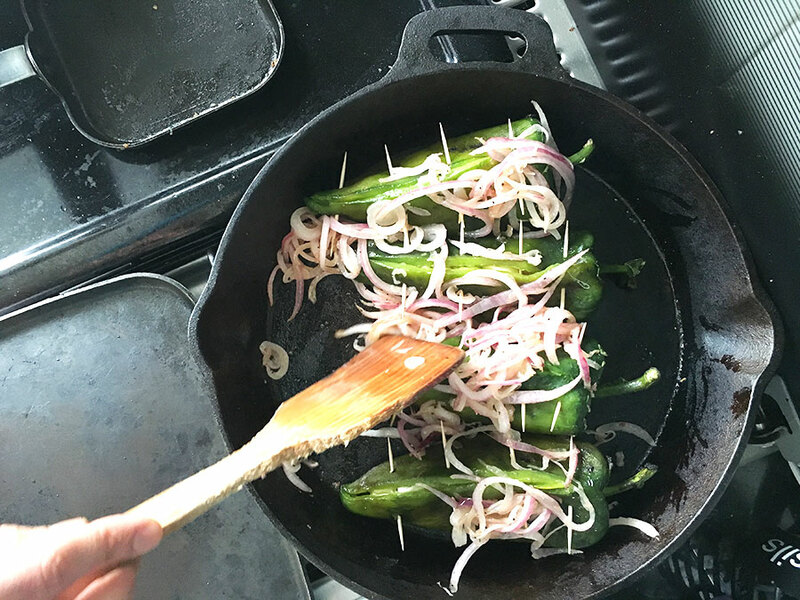 After you pick up a few ingredients, return together to Rafa and Hannah's home where you will join them in their kitchen to cook a few authentic Mexican dishes. Rafa and his cousin, Melania, were wonderful to meet. 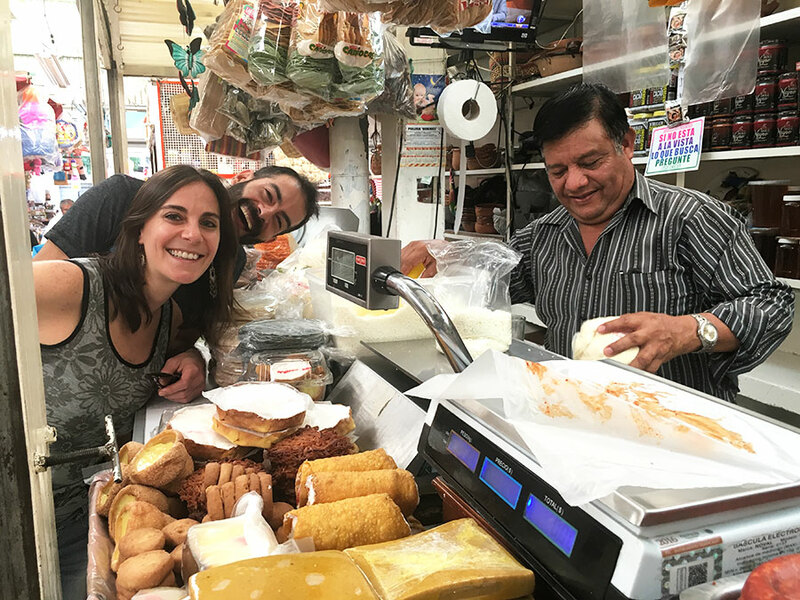 I had a very good time walking with them to the nearby market, trying some local food and fruits while talking about Mexican cuisine. Back at the apartment, I had a great time learning to make some local dishes. Rafa did an excellent job walking through things as we were preparing them. Rafa and Hannah are continuing a deeply rooted food tradition that has existed in Rafa's family since his great grandmother. Living in the same neighbourhood where Rafa grew up, both hosts take you on a local culinary journey that goes from the market to the kitchen to their dining room table. Rafa weaves his family history into your culinary experience, shares decades of friendships with the local market stall owners, and introduces you to his grandmothers recipes, from ingredient to technique. Their enthusiasm for local cuisine coupled with their family stories makes this dining experience more than you can get at any restaurant or through any tour. Our meal was fabulous, our conversations about food very personal, and we feel that we left their kitchen having two new friends. Booking through Traveling Spoon was easy and efficient. Cooking and having a meal with Rafa and Hannah was fantastic! I highly recommend it.